KMGC Productions is a locally owned and operated mobile disc jockey business in Oregon City established originally in 1992 as KMGC DJ Productions. We have the experience, flexibility and knowledge to make your special occasion a huge success and an everlasting memory. Gil (DJ) has the knowledge, experience and ability to keep you and your guests entertained and the dance floor full. KMGC Productions has 30,000+ song titles with the current Top 40, Hip Hop, Country, Latin music and more. With ‘Music From The 40’s To Current Top 40™’ KMGC Productions has the music for you and your guests, no matter what age or genre of music. Don't skimp on your DJ. Your DJ will likely be the center of attention for over 90% of your event. If you go by price alone or a DJ service with sub-par equipment or a DJ you don't meet until the day of your event, you may have a lifetime of bad memories and you won't get a second chance. KMGC Productions will ensure you have the best event ever with Gil DJ'ing the music you want and with one of the best sounding and visually looking equipment and lighting out there. We use professional top rated brands for our equipment such as the highly rated, high powered, QSC speaker system, Yamaha mixer, Pioneer controller and ADJ and Chauvet lighting system. KMGC uses high tech DMX LED lighting by highly regarded Chauvet and ADJ Lighting. DMX lighting is LED lighting in which each fixture can perform many different functions and colors individually and remotely. With KMGC Productions, all the above is included with our hourly packages as well as setup and teardown, basic coordinating help, a professional and neatly organized setup are included at no additional cost. We also include fog if your venue allows it (fog can affect smoke alarm systems). 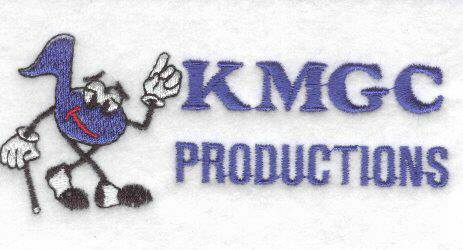 KMGC Productions includes many ‘extras’ that other services charge ‘extra’ for and proven to be your best all-around value. A La Carte Pricing available: If you are one that may not like an hourly package as maybe you don’t need lighting. You may have a limited budget. Maybe you feel a subwoofer would be overkill as you don’t need the heavy bass. KMGC offers an 'a la carte' pricing to better fit your needs, but there are restrictions. Please see our web site for details. If you are having a Birthday, Wedding Reception, Block Party, Celebration, Anniversary, Corporate/Company Party, Grand Opening or any other type of special event, check out all we have to offer to you and your guests for fun, memorable times. Small spaces like in a home or small venue is not a problem as our setup can work in as little as a 10’X10’ space. We at KMGC Productions do not hire outside DJ’s, the person you will meet with, from the first meeting to the end of your event, will be the same person. No surprises on the day of your event. Gil (DJ) will make all your announcements and lets the music and lighting be the center of attention. With the ability to read a room to ensure everyone is having a great time, Gil will have everyone out on the dance floor with the music you and your guests requested and because we bring all of our music, Gil can change the course or genre immediately if needed.